Is your car’s check engine light on? 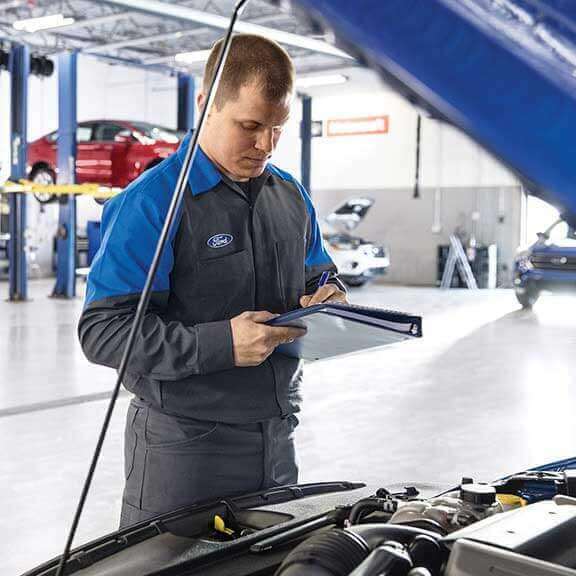 Our team of factory trained service technicians at Reynolds Ford of Norman can help diagnose any problems with your vehicle’s engine. If the check engine light on your vehicle is on, you should bring your vehicle in for service as soon as possible. The engine is the heart of your car, and it is important to keep it maintained to avoid any issues. The OBD II system that monitors your vehicle will detect if anything is wrong, from a loose fuel cap to a more serious problem with the engine or emissions system. Q: What does it mean if the check engine light is on or flashing? A: A solid check engine light means there is something wrong with the vehicle that should be checked as soon as possible. A flashing check engine light means the car should be shut off and serviced immediately. Q: My car was serviced but the check engine light is still on. How do I turn it off? A: If the issue was just fixed, the check engine light will likely go out on its own. If it does not go off, you can bring it back in to Reynolds Ford and our technicians will diagnose the issue. Q: My car is running rough but the check engine light is not on. Should I bring it in? A: If your vehicle is not running properly you should bring it in to be serviced even if the check engine light is not on. Our service technicians can diagnose what the problem is.